Pop superstar Pink on Wednesday postponed a fourth Sydney show but vowed to be back on stage Saturday following a stomach virus. Her “Beautiful Trauma” world tour’s first concert in Sydney was scheduled for last Friday, but she canceled that show on doctor’s orders. She was discharged from the hospital the next day, but Tuesday night’s concert was canceled. 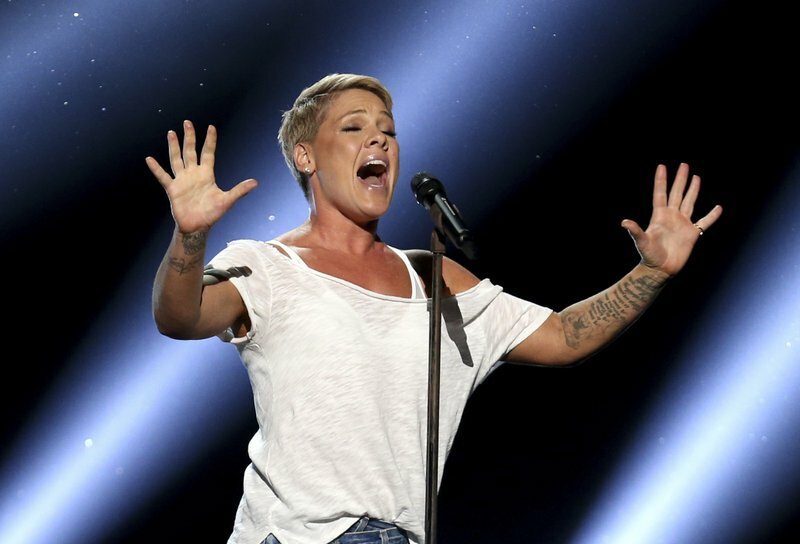 Pink said Thursday’s concert would be the fourth and last cancellation. “Our next show will be Saturday, and until then I will be drinking green tea and spending time with my kids,” Pink posted on Instagram. “My sincere apologies to any of the ticket holders that this has affected,” she said. “Thank you for your patience, compassion and support. I look forward to rocking out with all of you as we have done for many, many years,” Pink said. She thanked her supporters as well as staff at inner-city Saint Vincent’s Hospital for their care. She last toured Australia in 2013, when she performed 46 shows as part of her “Truth About Love” world tour.